Patrice Wagonhurst is Chief Development Officer at Via Care Community Health Center in Los Angeles. She has more than twenty years’ experience in nonprofit healthcare development and has raised millions of dollars in federal, state, and local government grants, corporate, and private foundation funds. 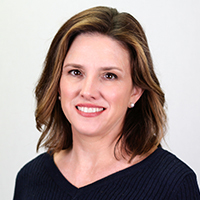 Patrice has also worked as an Independent Healthcare Consultant, providing support to community clinics and other nonprofit organizations with needs assessment, program development, fundraising, strategic planning, and Board development. Her civic participation includes membership on the Boards of Homies Unidos and The Community Clinic Association of Los Angeles County. Patrice is also a member of the Association of Fundraising Professionals, Los Angeles.